Please complete all sections of this on-line application. We will contact you by e-mail or telephone within 24 hours of receiving your application. If you have any questions, please don't hesitate to call us at (952) 942-5229. COME FROM 100% Police K-9 Lines and GERMAN WORKING BLOOD-LINES. (Check for Availability). HAVE STRONG AND BEAUTIFUL STRUCTURE & MOVEMENT. Are POTTY TRAINED AND SOCIALIZED (1st STAGE). ARE PROFESSIONALLY TEMPERAMENT TESTED PRIOR TO PLACEMENT. COME WITH DISCOUNTED LIFE-TIME TRAINING PACKAGES (ADDITIONAL COST). ARE BRED UNDER STRICT STATE OF MINNESOTA DEPARTMENT OF AGRICULTURE PROFESSIONAL KENNEL MANAGEMENT STANDARDS AND GUIDELINES. * Please specify whether you want a Male or Female Puppy. * How soon would you like to have your puppy or dog home? Although we may have puppies currently available, most of our puppy litters are pre-planned, therefore you may have to wait 3 to 6 months for your puppy. * What is your preference for your puppy's coat color? * What is your preference for your puppy's coat length? 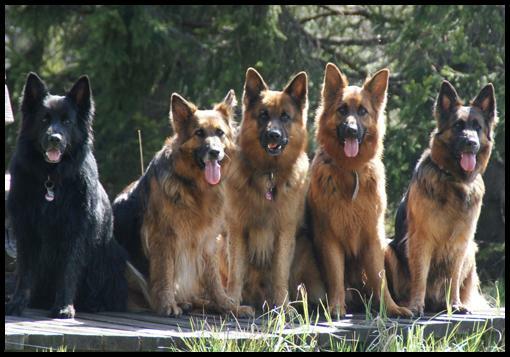 * Have you owned a German Shepherd Dog Before? * Do you plan on having us work with you on Training Your Puppy? Please use this section to enter any additional information you would like to share with us about Purchasing and Owning a Minnesota K-9 German Shepherd Dog or Puppy.